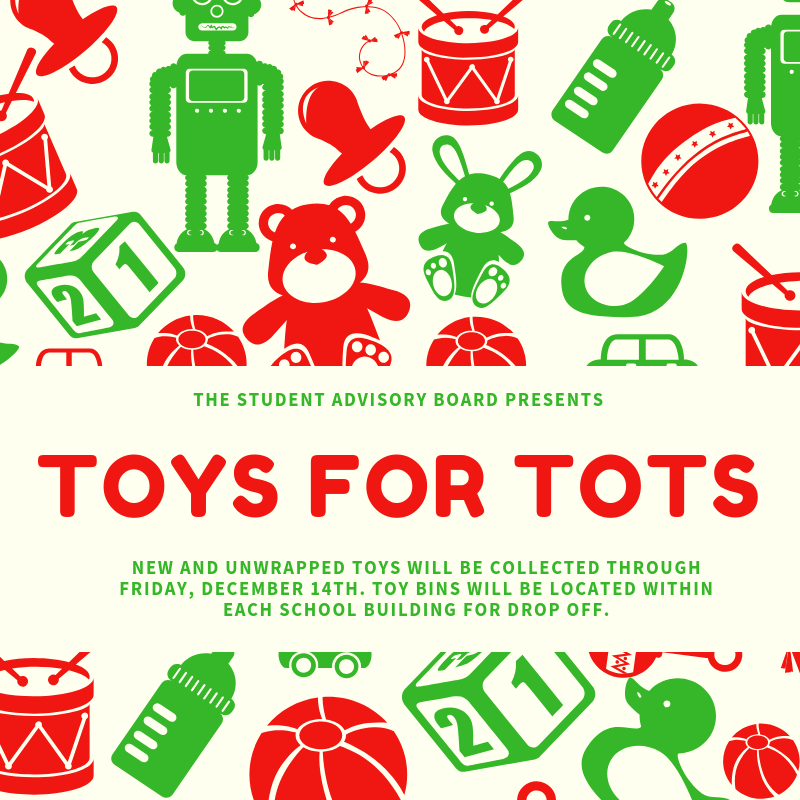 New and unwrapped toys will be collected through Friday, December 14th. The Student Advisory Board presents Toys for Tots. 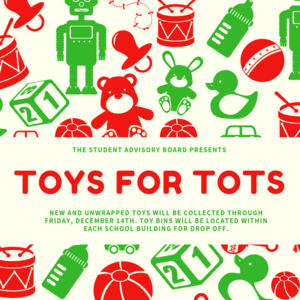 New and unwrapped toys will be collected through Friday, December 14th. Toys bins will be located within each school building for drop off.